GDG Philippines turned 6 (on November 19) and +Eiji Kitamura, Chrome Developer Advocate ,was in town so we organized Chrome Dev and GDGPH Anniversary GeekUp last November 29, 2013. We started the meetup with a video from +Van Riper and +Adriana Cerundolo from the Google Developer Relations Team in Mountain View. The meetup was held at Globe Corporate Showroom. 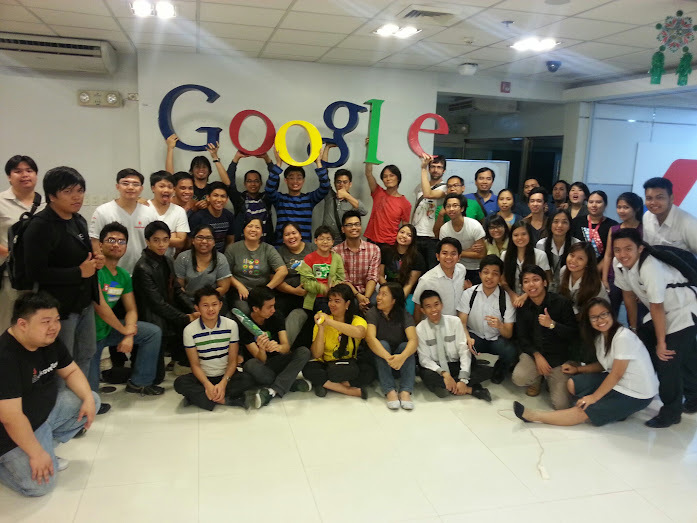 After Eiji's talk about Chrome Dev Tools, +Jomar Tigcal presented the history and future of GDG Philippines. +Anne Michelle Santos, Developer Relations Manager of Globe Labs, also gave a talk about their newly launched APIs. Gino Tria +Gino Tria of +Collabspot presented their entry to the Google Cloud Developer Challenge.